Strengths. Weaknesses. And Faking It. Wonder Woman–oh how incredibly appropriate for this post! I had the pleasure of attending a networking event last month. It was focused on how to find, develop and discover what you can gain by leveraging strengths and natural skills, rather than attempting to repair weaknesses. More importantly, the overarching theme was to break down obstacles that may be impeding you from meeting your goals. Before deciding to go the event, I wasn’t sure it was for me. I kept analyzing what it was that drew me to the event, and what exactly turned me off. I couldn’t put my finger on it. And yes, I was totally over-thinking it. First of all, I had to admit that I had strengths to work with. “Of course, I have strengths. I am a young PhD scientist, a good cook, and a decent photographer“ [even that was difficult for me to admit]. I also want to believe that I am an awesome mother to my human and cat children, and a fine wife. And by using all those lovely vague adjectives, I hope to convey that I am thoughtful, caring, kind, patient and respectful towards those I live with. Some days I settle on being a good-enough mother and wife. Also, I realize that just being a scientist does not make me “good” at science. But what I am trying to say is that all those above-mentioned characteristics shape me to be [what I consider] a fairly well rounded individual, and that’s a strength, right?.. Right? The part I don’t want to talk about. Now this is a good place to start the discussion on weaknesses. I didn’t want to think about my weaknesses [prior to going to the event]. I still don’t want to get into it. Nobody really does. It means somehow, on some level admitting defeat. It also means taking your mind to an uncomfortable place. Like a mental equivalent of doing cartwheels on the moon, or treading water in a shark tank, or teaching a toddler to breakdance. Weaknesses are private, and sometimes dark, and should be left alone. If you don’t talk about them, you can almost pretend that they don’t exist. Like climate change, for example [and because it is tricky to convey sarcasm via text, I want to make sure that I am clear about this last statement. Climate change is real. And it is important to address is. But maybe in a later post. Hopefully before we all die from a big methane burp]. 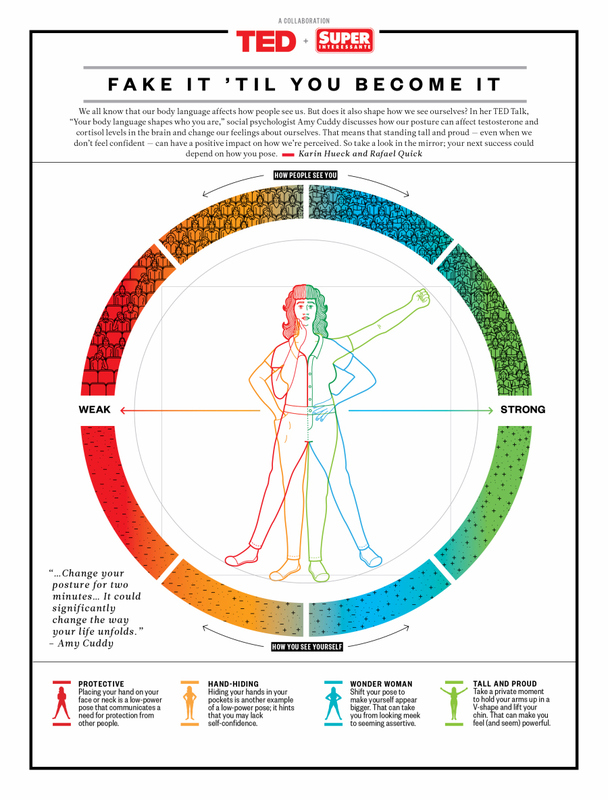 The thing is, it is extremely challenging to think of your strengths and weakness objectively. For some it comes fairly easily (or at least they lead you to believe that, which would definitely be one of their strengths). For me it is not that straightforward. It is difficult to detach myself and go in with an open mind to be neutral, dispassionate and analyze my weaknesses and strengths without judgment. So now I have arrived to a point where I should probably confess my biggest weakness, if you haven’t guessed it already. Drumroll please… my biggest weakness is perfectionism. Yes, I am a perfectionist. No, this is not the time to say “oh how cute,” or roll your eyes and say “nah, that’s not really a weakness.” Perfectionism is very difficult to live with. Perfectionism is a struggle, which renders every day to be a challenging learning experience of channeling your talents and aptitudes in the right direction. There are good days and bad days. On good days you feel awesome and accomplished. You feel like you can do anything. On those days I feel like I am a truly awesome scientist and a stellar mother. On bad days you simply feel like you are just not good enough. No matter what you do. And that’s a not-at-all good feeling. Why talk about all this stuff anyway? This is the single most powerful message I got from the networking event I mentioned in the beginning of this post. I am so glad I attended it. 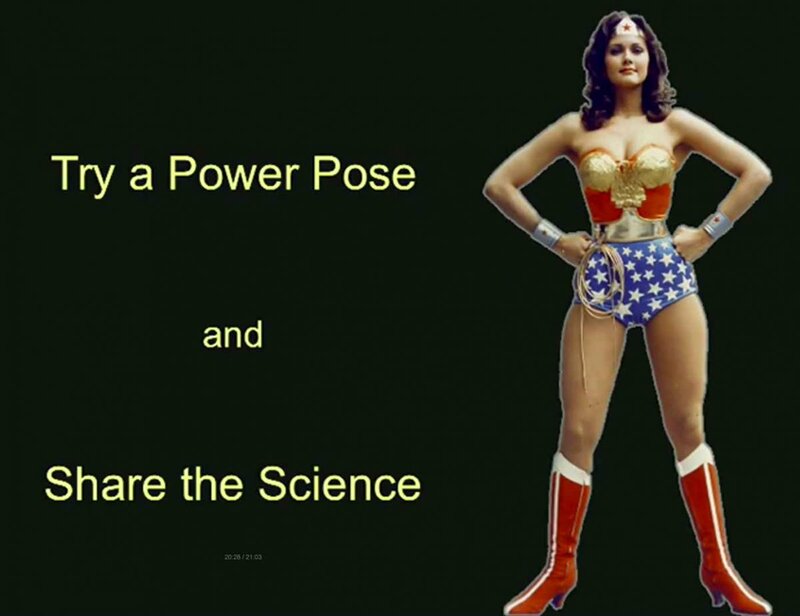 And now I’m off to put my perfectionism on the shelf for today and strike that [Wonder Woman-like] power pose! This entry was posted in job search, postdoc, strengths and weaknesses, transitions and tagged faking it, growth, perfectionism, postdoc, power pose, strengths, weaknesses. Bookmark the permalink. 4 Responses to Strengths. Weaknesses. And Faking It.